Hello everybody and welcome to our stop on the Shift blog tour! To celebrate the release of the second book in the Shade trilogy – about a world where only the young can see ghosts – we are super excited to have Jeri Smith-Ready over to talk about her visit to Newgrange with a guest post and an exclusive (and awesome) video. Please give it up for Jeri! I can without a doubt say that this is the most fun I’ve ever had creating a blog post. Or at least the most fun I’ve ever had gathering material for a blog post. Two weeks ago today I was in Ireland, fulfilling both a lifelong dream (to go to Ireland, obviously) and also a creative journey. In SHADE, my YA paranormal trilogy, the megalith of Newgrange holds the secret of the Shift, a mysterious event that occurred at the moment of the main character Aura’s birth. Everyone born after the Shift (including Aura) can see and talk to ghosts, and no one else can. Newgrange is believed to have been built around 3200 BC—several centuries before the Great Pyramids of Egypt and two millennia before its more famous English cousin, Stonehenge. No one knows much for certain about the people of that time, but our tour guide Sinead said that evidence indicated they were a peaceful sort. They were buried with jewelry rather than weapons, their recovered bones hadn’t been crushed during life, and most flint of the time was used for creating art and household items, not weapons. We also now know that they were astronomers. 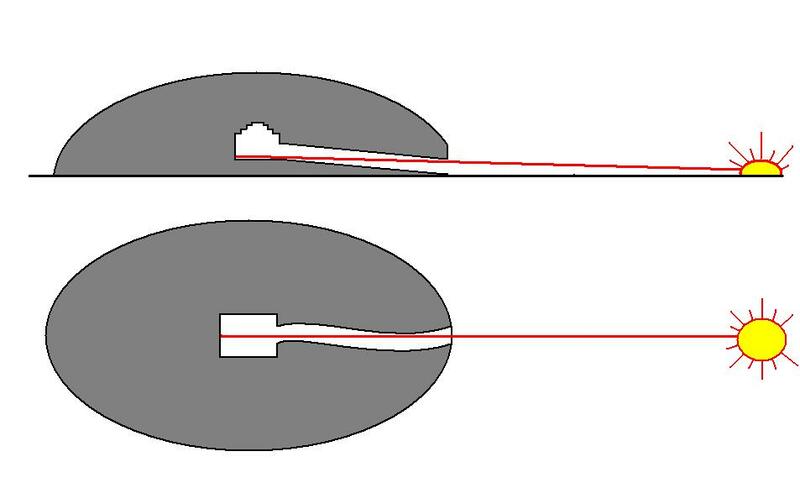 Many Neolithic passage tombs are aligned with the movements of the sun and moon—no doubt to mark important times of the year for religious and agricultural purposes. Newgrange itself is carefully constructed so that its inner chamber is only lit at winter solstice sunrise. Newgrange’s inner chamber may have been the site of rituals held to honor the cycle of life and death. Since the winter solstice marks the time when the days begin to lengthen, it must have been a powerful moment of hope and celebration in these people’s lives. Nowadays, a select few are chosen by lottery every year to witness the event themselves. In SHADE, Aura’s mother and Zachary’s father were two of these lucky people to enter, the year before the Shift. What happened there on that day may have changed the world. But why? That’s the mystery that will be further explored in SHIFT, and ultimately solved in next year’s SHINE, the conclusion to the trilogy. Learn more: For a live video of a Newgrange winter solstice, visit Ireland’s Office of Public Works Solstice 2008 page. Thanks to Ana and Thea for hosting me today on the SHIFT blog tour! Thanks a MILLION to my talented husband Christian Ready (and his MacBook Pro) for putting together this video. Along with Newgrange, he is the real star of this production. Shift is the second book the in the Shade Trilogy. You can check our review of the excellent first book, Shade HERE. Aura’s life is anything but easy. Her boyfriend Logan died, and his slides between ghost and shade have left her reeling. Aura knows that he needs her now more than ever. She loves Logan, but she can’t deny her connection to the totally supportive, totally gorgeous Zachary. And she’s not sure that she wants to. Winner #1 gets a signed copy of the book plus a Newgrange mag, courtesy of Jeri. Winner #2 gets an unsigned copy, courtesy of the publisher. The contest is open to EVERYBODY, ANYWHERE, and will run for 24 HOURS ONLY, ENDING TOMORROW MAY 3RD at 00:01AM (PST) when the comments will be closed and winners will be announced here. In order to enter, simply leave a comment on this post. And good news: your comment will also automatically enter you for a chance to win the Blog Tour Grand Prize: annotated copies of SHADE and SHIFT, an early copy of SHIFT (book three of the series, of which there will be no other ARCS) and an iPod Shuffle! (You can read all the details of the Grand Prize HERE). Only one entry per person, please. Good luck! I was lucky enough to visit Ireland a few years ago but it was for only two weeks and one of those was spent travelling around on a horse drawn gypsey caravan. The other week we tried to cover as much of the country as we could but never got to Newgrange (or a whole lot of other places. We found all the people super friendly and ready to do anything for you and have dreamed ever since of being able to go back. Thanks for giveaway and for opening it to worldwide entries. I’m really eager to see how this story develops. I definitely want to visit Ireland at some point. So interesting learning about Newgrange and I love the fact that Jeri incorporates this in the mythology of Shade. I’m so excited to learn more about the shift in… Shift! 🙂 Also really makes me want to visit Ireland too. There has been a lot of buzz regarding “Shift” in the blogosphere lately! Aura sounds like a strong female character and the story overall sounds like a great romantic paranormal story! looks like a really good book! and the vidoe was awsome! it really gave you an idea of the setting! This sounds really cool. And that video makes me want to listen to loads of Irish Music. Would love to be entered to win! yeay!!! This one is exciting! I am fascinated with Irish mythology and culture. So happy my library has a copy of Shade (now on my must-read list)! Thanks for the film Jeri and the giveaway. One day I’d like to visit Ireland. How beautiful!!! I hope to travel there someday. Thanks for the great giveaway; I loved Shade. The book sounds interesting and I would really love to tour Europe someday! Please count me in in the giveaway! I’m so jealous, I’ve always wanted to visit Ireland. This series sounds so good and I’ve been hearing so many good things about it! I LOVED Shade and can not wait to read Shift! Thanks for the opportunity! That was the best gift ever, was you taking us along on your trip and referring to the book and where the site fit in. I LOVED Shade, and can’t wait to read Shift. YAY! nice to see Newgrange, and glad you had a great time Jeri! can’t wait for SHIFT!!! Im a avid reader of books that speculate about the nature of pre written history sites like this. I particularly enjoy learning about the sites themselves. I’ve actually been to Ireland for work. I spent a week in Cork and then had one day to see all of Dublin. I need to go back and actually be a tourist! 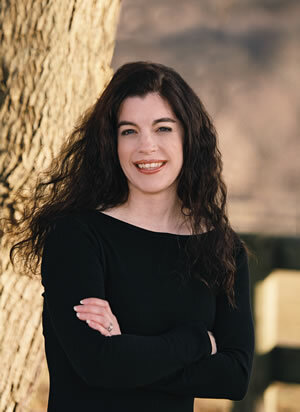 Thanks, Book Smugglers, for letting me stop here on the blog tour! This was my first video blog, and now I can see why bloggers enjoy making them. Lots of work, but so fun to share. And thanks to all your readers for the great comments! Maybe next year I can come back for SHINE to show you the footage I took in Glasgow. Oh wait–I didn’t take any video in Glasgow. Ooh this is brilliant, I absolutely loved Shade and have been looking forward to Shift ever since. Thanks so much for holding this giveaway, very exciting! I’m very jealous of your trip to Newgrange, I’ve wanted to go and visit for years but somehow other things have always managed to get in the way! Wow, what an interesting place! I’ve been waffling about reading these, but I think knowing that it’s a trilogy, and the really cool premise has convinced me. Thanks for the giveaway! Thanks for the giveaway! I’m dying to read Shift! Someday I want to go to Ireland, it looks so beautiful! I haven’t read Shade, but now I’m intrigued. Also, yay Ireland! My mom’s side of the family is Irish and I have fantasies of going on a walking tour through the country some day. I’ve got to get started reading Shade now. Sounds fantastic! Thanks for the chance to win. Read the first one. Very excited for this book! I enjoyed Shade and am waiting to read Shift. Those old-school builders always amaze me with their creativity and accuracy. Thanks for the giveaway! The book sounds awesome. I’ll have to hunt down Shade. Lovely video…I have been waiting to go to Ireland for almost 35 years (as long as I have been married). LOL! Hubby has promised so I hope to do it soon. I have been waiting almost as patiently (just not as long) for SHIFT. Thanks for sharing your trip with us, Jerri. Oh, I forgot to add…laughed out loud when you were petting the Irish Terrier because mine was sitting with her paw on my knee, begging me to pet her! I love her work, I can’t wait to read this book! I am looking forward to being able to read this book. I would love to visit Ireland someday. It looks beautiful. I just read Shade over the weekend and I loved it. Would love to win a copy of Shift! Thanks so much! Thank you for the amazing video, and of course for the wonderful give-a-way. Can you believe tomorrow is the 3rd! Jeri, this has really been a great way to promote your work, so I hope we do it again for SHINE! Looking forward to reading the complete Shade Trilogy. Thanks for the great giveaway. Beautiful video Jeri. Thanks for sharing and your husband did a fantastic job!! Great, now I wish to go to Ireland. I’ve had the opportunity to see Stonehenge, and Newgrange must be equally awesome and exciting to visit (well, for the history and mythology lovers 🙂 ). Loved the video! Heard lots of great things about this one! I really love this series and can’t wait to read this one. Thank you so much for the giveaway. I’ve always wanted to go to Ireland, I hear it’s beautiful. I’m loving keeping up with your blog tour, and hearing about your trip. This book sounds great.. can’t wait to read it. Ooh, loved the video! Everything is so gorgeous and green there. I can’t wait to read more about Newgrange and all the sites in ‘Shine’. 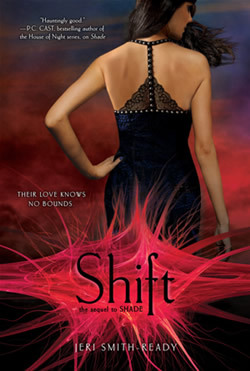 I loved the first book in this series and am so excited about Shift coming out. Ireland is on my top 5 places to visit when the kids are all grown lol. Thank you for a great giveaway! Ireland! I want to go so bad! Great giveaway btw! So interesting learning about Newgrange. I definitely want to visit Ireland, looks like an awesome place. I just found out about the Shade series today and intend to read the first book as soon as I can get my hands on a copy. Can’t wait to read it. Oh, I am so looking forward to reading this! 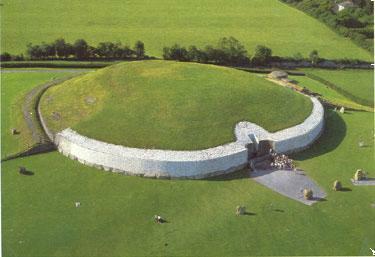 I would love to see Newgrange….it would just be cool to go visit Ireland. One of my favorite authors and one of my favorite series…can’t wait! This book sounds amazing. I devoured the last one. The trip sounds *amazing* I have wanted to visit Ireland for a long time, can’t wait for the day I finally get to go. i’d love to visit ireland with my younger sisters. this series looks fun, i’m looking forward to giving it a try! Wow, that is really cool! I have never heard of Newgrange before and now I am totally curios. Thanks for sharing and for the chance to win a copy of the new book! Wow, that is really cool! 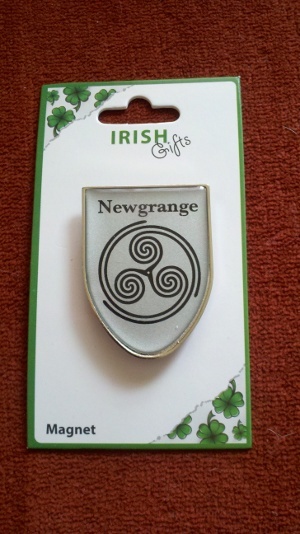 I have never heard of Newgrange before and now I am totally curious. Thanks for sharing and for the chance to win a copy of the new book! This series sounds good, and this post really left me wanting to know more! Being Irish, I’m completely biased of course but I’ve often wondered why more of Ireland’s rich mythology hasn’t been used in stories before this. I’m glad that Newgrange is featured and that more people, who might not otherwise know about it, are getting to know all the country has to offer. I’m really intrigued now to read the book and see how it features. Oh that video made me want to do a revisit and travel around more area. Adding book 1 to my wishlist. Exciting! I totally want to go to Ireland now. I think it’s still below Italy..but.. Very interesting post. I love Ireland I have only been there once but hope to go back there someday. I’m very interested in reading Shift, please enter me into the contest. Thanks Jeri for your fantastic writing and for the opportunity to win your book. Thank you Ana and Thea for your great blog! It’s awesome to follow your blog. I loved Shade and have been dying to read Shift. Thanks for the contest! Ireland *sigh*. One day I’ll get there, but for now I’ll have your pictures to look at. Great post! SHIFT! Sorry, this blog tour is really getting me ready for SHIFT. Can’t wait! We are planning our Spring 2012 trip to Ireland now (first for everyone!) and now I have yet another locale to put on the list. So interesting! And since I love Jeri’s books I would very much like to read her new series, too. Can’t wait to read Shift! A vacation of a lifetime. My son and his wife are spending 10 days in Paris, Belgium & Amsterdam as we speak. Shade was my absolutely favorite read of 2010, so I CANNOT wait for Shift! I can’t wait to read this 🙂 Thanks for the giveaway! Great giveaway – I’m actually headed to Ireland in June so this would be the perfect thing to read on the plane! Thanks for the giveaway.Shift sounds really good. WOOT! What a great contest! Count me in as well. Such an interesting post AND giveaway! I am definitely going to check this book out — it sounds so cool! This story sounds Great. The pictures of Ireland are beautiful I would love to win this book. That sounds fascinating – when I get over to Ireland, I’m definitely going to be checking it out. Thank you for telling people about it! Wow! I’ve always loved Ireland lore and just the intense green landscape. I love the premise of your book! WOW! Seeing Newgrange after reading Shift…. it’s magical. It’s going to feel like the longest wait ever for Shine!! Thanks so much for the post and to Jeri for the great video that really brought Newgrange to America for those of us not lucky enough to see it in person! Nice video! I’m always amazed by the wonderful landscapes. Nice touch with the red scarf , by the way, you wouldn’t want to be bothered by ghost while shooting this video. Can’t wait for tomorrow!!! Please enter me in the drawing! Go raibh maith agat! Really enjoyed Shade,so can’t wait to read Shift. I can’t wait to read this one! And lucky Jerri, going to Ireland. My husband and I would love to go to Ireland. Gorgeous picture and video. That was a beautiful video. Awesome giveaway!!! Got my fingers crossed! I’ve never heard of these books before, but they definitely sound worth reading! I’d like to go to Ireland.. fantastic place..
and I can’t wait to read SHIFT..
That was a fascinating video! I really enjoyed Shade and bought a copy for a friend of mine who’s an actual Young Adult (unlike me); couldn’t resist the chance to spread the Jeri Smith-Ready love! Thanks for the terrific giveaway! I love this post and your books Jeri. I want to go to Ireland but my husband thinks there is nothing to do but go to pubs(we don’t drink). I will have to show him this as part of my quest to convince him to go. Ireland is at the top of my list for places to visit 🙂 it’s so green! Thanks for the giveaway! Now I want to go to Ireland. I’ve been to Newgrange! It’s an amazing place and I can totally see why it inspired Jeri. I just got my copy of Shade and I know I will love it. Looking forward to reading Shift after that. Looking forward to Shift. Thanks for the chance! The contest is now closed and we will close the comments. Winners will be announced later today!